by W. P. Armstrong (1995). The Steven Spielberg movie "Jurassic Park" based on the best-selling novel by Michael Crichton, offers a realistic and terrifying look at some of the incredible animals that once roamed the earth during the Cretaceous and Jurassic Periods (65-180 million years ago). In the story, scientists isolate dinosaur DNA from the stomachs of blood-sucking insects preserved in amber. From the DNA blueprint, dinosaurs are cloned and roam an island off the west coast of Costa Rica. But what about the landscaping for this "Disneyland" of living dinosaurs? Ideally you would want to use trees and shrubs from the approximate time frame when these marvelous warm-blooded, reptilian-birdlike creatures ruled the earth. It would be nice to clone the extinct flora from the remains of plant tissue preserved in amber, the way dinosaur DNA was cloned in the book. 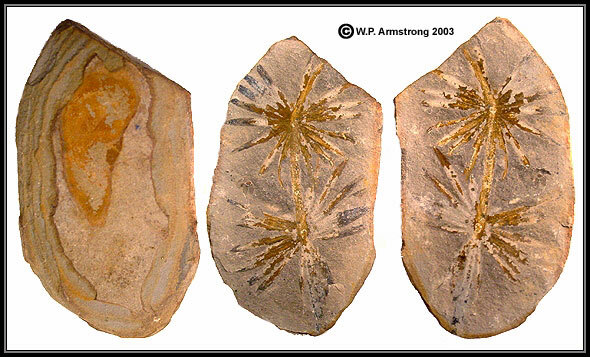 Unfortunately, the majority of recognizable plant fossils from this time period are either leaf imprints in sedimentary rocks or petrified (mineralized) tissue, and the cell contents have long since been completely replaced by minerals. There are, however, a number of living plant species which have changed very little since the days when they coexisted with dinosaurs. In fact, some of these "living fossils" were known from fossil collections before they were discovered growing in the wild. 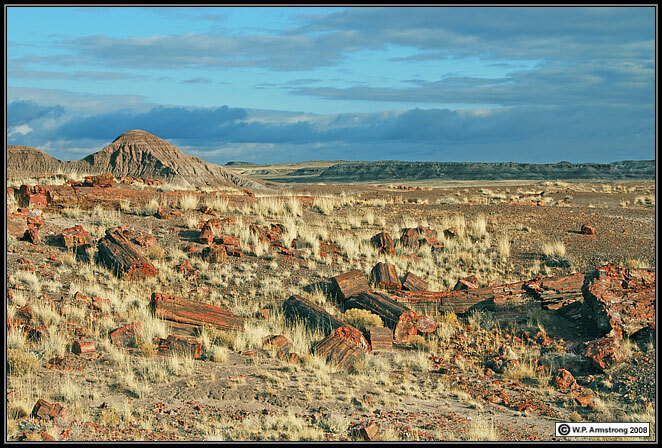 Petrified Forest National Park in Arizona contains hundreds of acres of perfectly preserved logs from an ancient tropical flood plain during the late Triassic Period (over 200 million years ago). 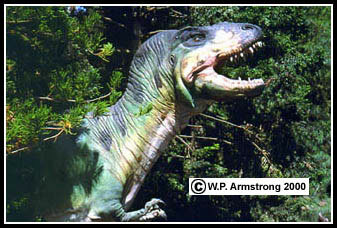 The trees of this extinct forest coexisted with dinosaurs. Many of the petrified logs have been assigned to the genus Araucarioxylon, a presumed distant relative of Araucaria; however, new evidence indicates that these petrified logs represent a broad diversity of conifer species. Streams carried dead logs into this once swampy lowland region where they were buried in sediments rich in volcanic ash. The woody tissue of the logs became impregnated with minerals such as silica and gradually turned into stone. Diorama of araucariad forest from 200 million years ago, when all the continents were united into the vast supercontinent Pangea. Whether any logs at Petrified Forest National Park came from trees such as these is unknown at this time. From all the thousands of petrified logs, one can only imagine the extent and diversity of this ancient forest of giant trees. Diorama on display at the Rainbow Forest Museum, Petrified Forest National Park. Amber is ancient plant resin that has metamorphosed into a hard, plasticlike polymer over millions of years. Often insects become trapped in the sticky sap and are perfectly preserved in a transparent tomb of fossilized resin. Since the main theme of the movie "Jurassic Park" is based on obtaining blood-sucking insects that feasted on dinosaur blood cells just before drowning in a glob of sticky resin, it would be nice to landscape Jurassic Park with resinous trees that coexisted with dinosaurs. A number of terpene plant resins are known to form amber, including different species of cone-bearing trees and flowering legumes. The beautiful Dominican Republic amber depicted in the movie comes from the fossilized resin of an extinct leguminous tree (Hymenaea protera). This ancient Hymenaea is the probable ancestor of present-day West Indian locust or "guapinol" (Hymenaea courbaril), a large canopy tree of the tropical American rain forest. Dr. Jean Langenheim of the University of California at Santa Cruz has studied new world amber from Mexico, Dominican Republic, Colombia and Brazil using infrared spectroscopy Science Vol. 163, 1969). Samples of raw resin from West Indian locust in these regions have infrared spectra remarkably similar to the ancient amber. In Mexico and Central America this tree produces copious globs of honeylike pitch (called copal) which is used for incense and copal varnish. However, the time frame for New World amber is about 20-30 million years ago, many millions of years after the reign of the marvelous dinosaurs depicted in Jurassic Park. Infrared studies of Dr. Langenheim indicate that amber deposits of the Baltic region are closely related to resins of broad-leaf conifers of the Araucaria Family (Araucariaceae). In New Zealand a living araucariad forest of Agathis australis produces copious amounts of resin that once formed a thriving industry for hard, durable varnishes and linoleum. 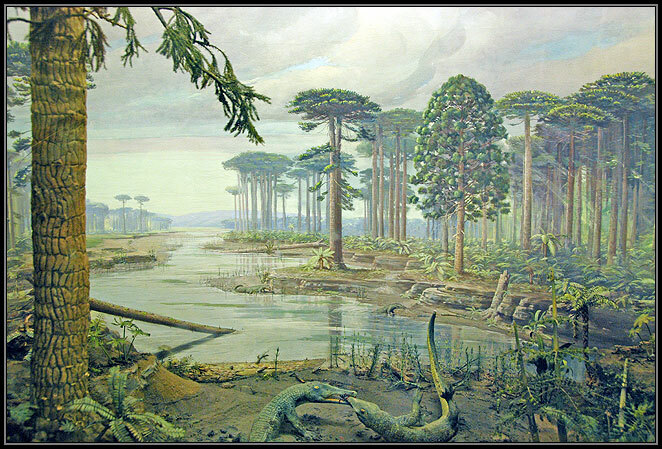 Forests such as this may have once flourished in the Baltic region 60 million years ago. Although most Baltic and neotropical amber was formed after the demise of dinosaurs, there are deposits of amber from Bornholm, the eastern United States, Canada and Alaska that date back to the Cretaceous and Jurassic Periods. In fact, logs of extinct araucariad trees in Arizona's Petrified National Forest date back to the late Triassic Period (about 200 million years ago). This is in the time frame when dinosaurs flourished on earth, and when lush ferns, conifers and palmlike cycads dominated the landscape. Near the end of this fabulous era the stage was finally set for a new age of flowering plants and mammals, recorded for posterity in the sticky resin of ancestral amber forests. During the age of dinosaurs the climate, topography and vegetation of the earth's continents were much different from today. Even the spacial positioning of the continents was different. Spore-bearing plants (pteridophytes) such as ferns, horsetails (sphenophytes), club-mosses (lycophytes) and whisk ferns (psilophytes) were abundant in the forest understory. These ancient plant groups were more abundant in the Carboniferous Period (300 million years ago), long before the time of dinosaurs. All of these plant groups produce spores in microscopic cases called sporangia or in cone-like structures (strobili), and all have living representatives that have changed very little from their primordial ancestors. Some are survived by only a few living genera, such as Equisetum (horsetails) and Psilotum (whisk fern). 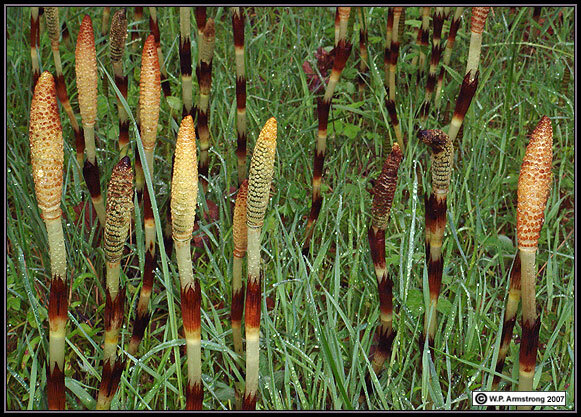 Horsetails (Equisetum hyemale), a primitive vascular plant group of the Carboniferous Period (300 million years ago) with jointed stems and a terminal spore cone (strobilus). They are also called "scouring rushes" because the silica-impregnated stems were used to clean pots and pans. 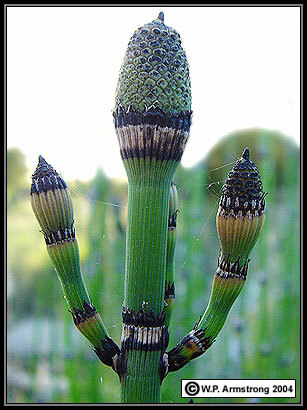 A branched horsetail (Equisetum hyemale), showing the jointed stems, terminal spore cones (strobili) and whorls of scalelike leaves at the nodes. They are also called "scouring rushes" because the silica-impregnated stems were used to clean pots and pans. Imprint of a 60-million-old Equisetum stem in fossilized Eocene mudstone from the Green River Formation in Colorado. Note the striking resemblance of this ancient species with a present-day horsetail (E. hyemale). Fossil from the extensive collection of Daniel and Diana Sourbeer, Life Sciences Department, Palomar College. Horsetail tea made from the dried stems of Equisetum arvense. According to some holistic practioners, regular use of this tea promotes a healthy urinary system and strengthens finger nails and hair. The stems have a high silicon content and are rich in other minerals. Since silicon plays a role in the repair of bone, cartilage and connective tissues, there is some evidence that horsetail tea may be beneficial for treating torn ligaments and tendons. According to M.A. Weiner and J.A. Weiner (Herbs That Heal, 1994), long term use of this tea could be detrimental to kidney function. 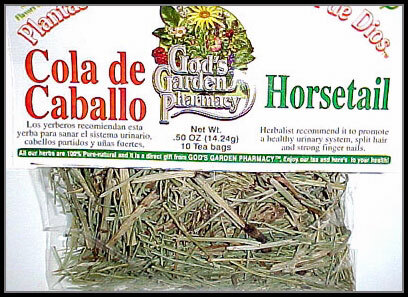 Dr. James Duke (The Green Pharmacy, 1997) discusses some interesting uses for horsetail tea and capsules, including the prevention of osteoporosis. An ancient sphenopsid Annularia stellata from Francis Creek Shale (Mazon Creek, Illinois). This is an extinct horsetail relative that lived in this region during the Pennsylvania Period, about 300 million years ago. The branch shows a whorl of leaves at each node, typical of the division Sphenophyta. Whisk fern (Psilotum nudum), a primitive, leafless, vascular plant bearing numerous 3-lobed sporangia. 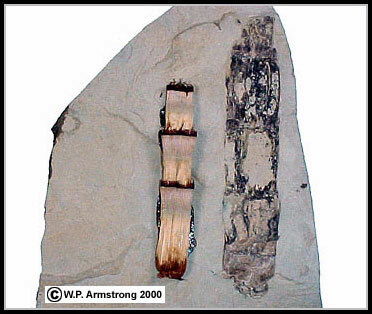 Plants such as this (including treelike forms as tall as telephone poles) were abundant in ancient swamplands 300 million years ago. Seed plants (spermatophytes) were well developed during the 150 million year reign of the dinosaurs and formed the most conspicuous and dominant vegetation on earth. This is especially true of the lush seed ferns, conifers and palmlike cycads. These primitive seed plants are called gymnosperms (naked seeds) because their seeds are not enclosed in a ripened fruit as in flowering plants. Two gymnosperm species, including the dawn redwood (Metasequoia glyptostroboides) and maidenhair tree (Ginkgo biloba), are commonly cultivated today and are the living survivors of an ancient flora that dates back to the days of dinosaurs. In fact, leaf imprints resembling the present-day maidenhair tree have been found abundantly in sedimentary rocks of the Jurassic and Triassic Periods (135-210 million years ago) when dinosaurs roamed the earth. The fan-shaped leaves are similar in shape to the individual leaflets of the lovely maidenhair fern (Adiantum). Interestingly enough, the veins of Ginkgo leaves are dichotomously branched (forked into 2 branches), a very primitive vascular plant characteristic. This distinctive type of venation was also present in the leaves of many extinct members of the Order Ginkgoales known only from the fossil record. Incidentally, the name "maidenhair" probably refers to the delicate, dark-brown leaf stalks (stipes) of the beautiful fern that this tree is named after. The first European botanist to study the maidenhair tree was E. Kaempfer, who observed it in Japan in 1690. He proposed the name "Ginkgo," and Linnaeus officially named it in 1771, adding the descriptive specific epithet "biloba" in reference to the notched (lobed) character of the fan-shaped leaves. Since that time there has been considerable disagreement among botanists regarding the etymology of the name Ginkgo. According Hui-Lin Li (Morris Arboretum Bulletin Vol. 7, 1956), there is no reason for rejecting this name on the basis that Ginkgo is a misspelling of "Ginkyo," as several writers have contended. Li (1956) concluded that the maidenhair tree has been designated as Ginkgo for more than two centuries and "certainly will be known as such forever." The pronunciation of "Ginkgo" varies considerably in the United States. Phonetically it is pronounced GINK-go, but the main difference is whether you pronounce the first "g" hard (as in gap) or a soft (as in gem). Probably most people follow the reformed academic pronunciation and use the hard "g." But many people also follow the rules of traditional English, and since the first "g" in Ginkgo precedes an "i," they use a soft "g" (refer to Botanical Latin by W.T. Stern, 1983). Whichever way you choose, pronounce it with conviction, self assurance and impunity--like you really know what you are talking about. Although maidenhair trees are commonly planted in parks and along streets in the Pacific United States for their interesting shape and beautiful golden autumnal coloration, they have been extinct in North America for at least 150,000 centuries. A surprising discovery earlier this century uncovered petrified Ginkgo logs from their ancient tomb of sediments and lava flows near the Columbia River Gorge in central Washington. The logs of Ginkgo and many other trees, including elm (Ulmus), redwood (Sequoia), Douglas fir (Pseudotsuga), oak (Quercus) and maple (Acer) were trapped in bottom silts of ancient Lake Vantage, many carried to this area by raging flood waters. Because they were saturated with water, the logs were not incinerated by the molten lava that sealed them under a massive layer of basalt. Through eons of time, silica and other minerals from the basalt layer slowly infiltrated the woody tissues, replacing the microscopic spaces within the cells and the surrounding cell walls with minerals. In fact, some of the most beautifully preserved petrified logs in the world are on display at Ginkgo Petrified Forest State Park in Vantage, Washington. Some authorities believe the Ginkgo wood preserved along the Columbia Gorge of central Washington is actually an extinct species (G. beckii) which is closely related to our present-day G. biloba. The specific epithet commemorates professor George Beck, who with his students, discovered the petrified wood of this species in the 1930s. The petrified wood and leaf imprints of Ginkgo species in Washington are remarkably similar to fossil species which survived in Europe until just before the last Ice Age. These trees once formed vast forests in this region over 30 million years ago. All North American plantings of this splendid tree are living descendants of trees only known from the orient, cultivated by people in temple gardens for countless generations. Originally cultivated around Buddhist temples in China, the trees were introduced into Japan centuries ago. They were brought to Europe in the early eighteenth century and later to the United States. In fact, to this day there is still some controversy as to whether the Ginkgo forests of remote southeastern China are truly native, or whether they were planted by people. But one thing is certain, this remarkable tree has changed very little since its ancestors grew in ancients forest more than 200 million years ago, long before the current configuration of today's continents, and when enormous dinosaurs ruled the land. According to Hui-Lin Li (Morris Arboretum Bulletin Vol. 7, 1956), Ginkgo biloba has survived until recent times in a remote mountainous region of southeastern China, on the border between Chekiang and Anhwei provinces. Li (1956) cites records of Chinese botanists and several western botanical explorers that all point to this region. In addition to Ginkgo biloba, this remote, mountainous, forested region is also the last refuge for several other rare conifers and taxads, including Pseudolarix, Nothotaxus and Torreya grandis. According to a 2007 article in Botanical Review 73 (4): 267-278, Peter Del Tredici states that pockets of Ginkgo biloba still may exist in the wild. He bases this hypothesis on studies of the DNA from cultivated samples of this species. As an ancient Chinese herbal medicine dating back thousands of years, the leaves of Ginkgo biloba have long been recognized for their benefit as a geriatric drug. According to M.A. Weiner and J.A. Weiner (Herbs That Heal, 1994), a tea made from the leaves was used for a variety of ailments, including asthma, vascular (circulatory) diseases and urinary problems. The leaf extract contains several valuable compounds, including 24 percent flavonol glycosides and 6 percent terpene lactones. Recent medical research indicates that Ginkgo biloba leaf extract may also be an effective treatment for memory loss and the early stages of Alzheimer's Disease in elderly patients. According to G.S. Rai, C. Shovlin and K.A. Wesnes (Current Medical Research and Opinion Vol. 12, 1991), the leaf extract was tested in a double blind, placebo-controlled study of 31 elderly patients with mild to moderate memory impairment. Similar tests on larger populations by Kanowski et al. (1997) and LeBars et al. (1997) published in the prestigious journals Phytomedicine and JAMA also showed memory improvement in patients suffering from Alzheimer's disease and senile dementia. During the past few years Ginkgo has become a popular herbal remedy sold in natural food stores across the United States. Two important products from Ginkgo biloba. Left: Ginkgo leaf extract made from the fan-shaped leaves; Right: Boiled and fresh seeds from Japan. Although they are often referred to as one-seeded fruits or nuts, they are really seeds inside a woody seed coat. Additional references on the attributes of Ginkgo leaf extract and seeds are listed in Encyclopedia of Nuts, Berries and Seeds by J. Heinerman, 1995. In fact, Ginkgo biloba is listed for the treatment of so many human ailments that it would appear to be a panacea or cure-all for whatever ails you. Some of the beneficial and preventive therapy from daily consumption of Ginkgo extract include the treatment of vision impairment, varicose veins, diabetes, migraine headaches, senile dementia, Alzheimer's disease, memory loss, poor blood circulation, atherosclerosis (arterial plaque), arterial erectile disfunction (including penile erection), urinary disorders, asthma, bronchitis, toxic shock syndrome, bruising and edema, allergic inflammations, hemorrhoids and the prevention of suicide. The efficacy of Ginkgo extract in the treatment of some or all of these disorders is beyond the scope of this article (and beyond the qualifications of the WAYNE'S WORD staff). For more information on the pharmacology and pharmacognosy of Ginkgo biloba, a good place to start is the American Botanical Council and Herb Research Foundation. In addition to their illustrated journal Herbalgram, this organization provides the latest and most up-to-date references on medicinal herbs written by top authorities in the field. Another ancient cone-bearing tree that was thought to be extinct but was later discovered growing in a remote valley of Central China is the dawn redwood (Metasequoia glyptostroboides). The genus Metasequoia was first described from fossil material by the Japanese paleobotanist Shigeru Miki in 1941. In 1948, paleobotanist Dr. Ralph Chaney of the University of California, Berkeley led a 10,000 mile expedition up the Yangtze River and across three mountain ranges to a lush, fog-shrouded valley where a thousand dawn redwoods were growing. Leaf imprints and petrified wood of ancestral dawn redwoods resembling the present-day species have been found in Cretaceous deposits throughout North America. Some of the fossils date back nearly 90 million years, from a time when the climate was much more humid than today. It has been estimated that the relict forest in China may have been surviving in this remote primeval valley for countless thousands of years. The seed cones and foliage of the dawn redwood superficially resemble our California coast redwood (Sequoia sempervirens), except that the dawn redwood is deciduous and loses its leaves during the winter months. All North American plantings of this superb cone-bearing tree came from the seeds (and their progeny) originally collected in China. Indeed this "living fossil" was brought back to its ancestral home. The foliage and cones of the dawn redwood (Metasequoia glyptostroboides) superficially resemble the California coast redwood (Sequoia sempervirens). This lovely deciduous conifer once coexisted with dinosaurs in North America during the Cretaceous Period 90 million years ago. A 25 million-year-old leaf of dawn redwood (Metasequoia) from the John Day Fossil Beds National Monument in Eastern Oregon. Close examination of the needles reveals that this extinct species is not a Sequoia, but is remarkably similar to our present-day Metasequoia. The soft brown shale is from ancient Miocene lake bed sediments made from layers of volcanic ash and silt. Many conifers and broad-leaf angiosperms have been identified from this fossil-rich shale (note other leaves in photo). Perhaps the most remarkable of all seed plants that flourished during the days of the dinosaurs are the cycads. These plants were so numerous in Mesozoic times (65 to 230 million years ago) that this era is often called the "Age of Cycads and Dinosaurs." 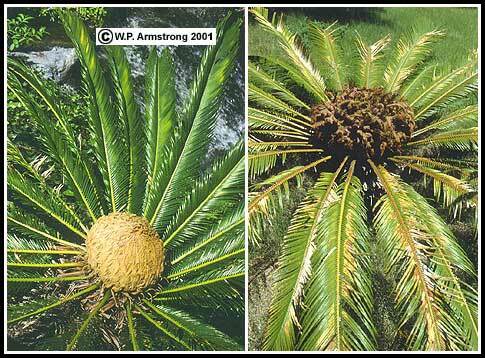 Cycads are dioecious species with pollen cones and seed cones produced on separate male and female individuals. 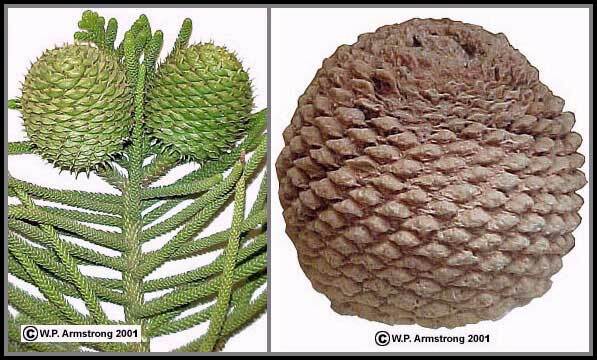 Cycad cones can reach 3 feet in length, the largest of all living cone-bearing plants. 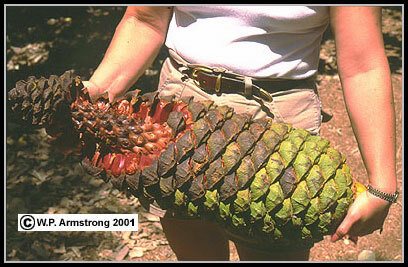 The most massive seed cones may weigh up to 95 pounds, and are produced by species of Lepidozamia and Encephalartos. The massive seed cone of Encephalartos manikensis. The cones of cycads are composed of numerous overlapping scales called sporophylls. Sporophylls are actually modified leaves, and in male cones they bear numerous minute sporangia on their lower surface. In female cones of most species, two large seeds are produced at the base of each sporophyll. The genus Cycas is unusual among cycads because the female cones are composed of a crown of loosely arranged, leaflike sporophylls, each bearing four to ten seeds along its margin. This crown of seed-bearing leaves on female plants is considered to be primitive because it is also found in some extinct fossil cycads. 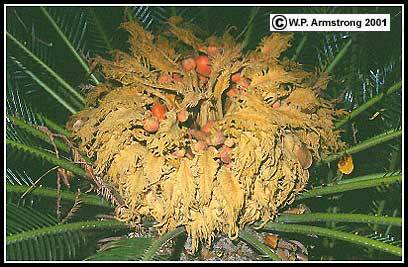 In Cycas revoluta the cluster of seed-bearing "leaves" superficially resembles a large blossom. In fact, some botanists have suggested that ancient cycadlike plants called cycadeoids may have given rise to flowering plants. Other botanists believe the connecting link may be extinct cone-bearing species in the Division Gnetophyta, while others say these are merely examples of parallel evolution. This major event in the evolution of plants on earth may eventually be solved by comparative DNA studies. The female cones of Cycas revoluta are composed of a dense crown of leaflike sporophylls. The sporophylls bear seeds along their margins. Female "cone" of Cycas revoluta. The spreading crown of leaflike sporophylls bearing bright red seeds superficially resembles a large blossom. Cycads have a slow-growing columnar trunk, 3 to 50 feet tall, and a crown of leaves that superficially resembles a palm. In some cycads, including species in the genus Zamia, the main trunk is subterranean and the leaf crown appears to arise from the ground. Unlike palms, cycad trunks produce rings of xylem (wood) tissue surrounding a wide, pithy central core. [Palm trunks do not produce concentric growth rings.] There are three families of cycads, the Cycadaceae, Stangeriaceae and Zamiaceae, which include a total of 185 species in 11 genera. They all belong to the Order Cycadales and are often placed in the Division Cycadophyta. [A plant division is the botanical counterpart of an animal phylum.] They are widely distributed in tropical and subtropical regions of the world (some of the Australian, Mexican and African species grow in arid habitats). Prior to the Theory of Continental Drift, the widely scattered distribution of present-day cycads in Australia, South Africa, Malaysia and the New World was an enigma. How could cycads have such a worldwide distribution when their seeds are too large, heavy and dense to be carried great distances by birds, wind, or ocean currents? When cycads and extinct cycadeoids once thrived on earth, the continents were united into an enormous supercontinent named Pangaea (approximately 200 million years ago). Evidence from plate tectonics shows that large plates of the earth's crust are slowly moving, resulting in today's isolated continents and widespread distribution of cycads. Although they once represented a dominant and very successful plant line, many of today's relict cycad populations are seriously threatened with extinction due to extensive collecting and diminishing habitats. Indeed, the plight of today's cycads is shared by many endangered plant and animal species that once flourished in vast, pristine ecosystems. A male cycad (Dioon spinulosum) bearing a large erect pollen cone. Cycads are unique among gymnosperms because they have remarkable nitrogen-fixing cyanobacteria (also called blue-green algae) living inside coralloid root outgrowths at the base of the plant. These adventitious roots are also termed ageotropic because they do not grow downward in response to gravity. Instead they grow in dense, branched clusters just below the surface of the soil. A microscopic cross section of a coralloid root reveals a greenish layer of filamentous cyanobacteria (usually Nostoc or Anabaena) just inside the outer cortex region. Like bacteria in the root nodules of legumes, the cyanobacteria supply the cycad with inorganic nitrogen by converting inert atmospheric nitrogen (N2) into ammonia (NH3). Since the photosynthetic cyanobacteria are not exposed to vital sunlight, the cycad supplies its microscopic symbiotic partner with organic nutrients. According to an article by P. Lindblad, et al. of the University of Uppsala (New Phytologist Vol. 101, 1985), special elongated cells in the cycad cortex region (called transfer cells) may be involved in the transfer of sugars manufactured by the cycad to the cyanobacteria. Although the cyanobacteria are below ground and in the dark, they posses the pigments and thylakoid membrane structure of other photosynthetic cyanobacteria, such as Anabaena azollae within leaf cavities of the ubiquitous water fern (Azolla filiculoides). It is interesting to speculate why these cycad cyanobacteria still retain their intracellular photosynthetic structures even though they live under the ground. Perhaps not enough time has passed for these structures to be "phased out." Cycads of the genus Cycas have some striking taxonomic affinities with ferns, including large leaves that uncoil like a fern. Cycads also produce remarkable multiciliate swimming sperm. The later characteristic is especially interesting when you consider that each sperm may have 20,000 to 40,000 spirally arranged cilia and may be up to 400 micrometers (1/60 of an inch) long, visible to the naked eye. This is larger than a grain of table salt and roughly equivalent to an entire plant of Wolffia globosa, the world's smallest flowering plant. When viewed with an electron microscope, each cilium has the same arrangement of protein microtubules (9 in a circle with 2 in the center) as animal cells. Because of multiciliate sperm, cycads show a nice connecting link with the more primitive spore-producing ferns, which must depend on free environmental water for the transport of their sperm, and the advanced seed plants in which the sperm are non-flagellated and non-motile. In a sense, the primitive ferns are like amphibians with external fertilization because their motile sperm require environmental water in order to swim to the egg. As in higher gymnosperms and flowering plants, the pollen grains of cycads are carried by wind directly to the female cones. Here they produce tiny pollen tubes which carry the sperm directly to the awaiting egg cell within the immature seed (ovule). Although cycads and maidenhair trees are the only known seed plants with swimming sperm, they do not require free environmental water for fertilization like their distant fern relatives. 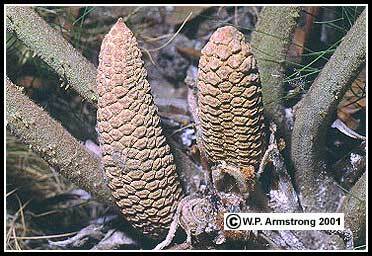 Male cones of Zamia furfuracea, an interesting cycad native to eastern Mexico. Like some of the other species in this genus, the main trunk is partly or completely subterranean with leaves arising from near the ground level. The cone scales have pollen-bearing sporangia on their underside. After landing on the scales of receptive female (ovulate) cones, the grains develop into pollen tubes that grow toward the egg-bearing ovules. The multiciliate sperm of Zamia species are some of the largest in the world, and in Z. roezlii they are actually visible to the naked eye. Several species of Zamia are native to the southeastern United States (mainly Florida), including Z. integrifolia, Z. floridana and Z. pumila, although some of these may only be variants of Z. integrifolia. The starchy pith of Florida cycads was collected by Seminole Indians and used to make a type of bread. It is known as sago starch or Florida arrowroot. Although once common in their natural habitats, the native populations of these species have been greatly reduced due to poaching and overcollecting. Some of these species are commonly cultivated in southern California, especially in tubs and planter boxes with well-drained soils. Close-up view of three cone scales (microsporophylls) from the male (pollen) cone of Zamia furfuracea. The undersides of the scales are covered with small, egg-shaped sporangia, each of which contains numerous pollen grains (microspores). The sporangia in this photo have already split open and shed their spores. A sperm cell from Zamia roezlii, an interesting cycad endemic to rain forests of Colombia. This sperm is about 400 micrometers in length, and is visible to the unaided eye. It consists of several spiral bands of 20,000 to 40,000 cilia at one end. The pulsating beat of these cilia may help to propel the sperm through the pollen tube, although in all other seed plants (except Ginkgo biloba), the sperm move to the egg without cilia or flagella. By the end of the dinosaur era, many of the once prolific gymnosperm species were already replaced by a rich flora of flowering plants, including magnolias, figs, breadfruit, palms, oak, willow, ash and maple. In fact, one hypothesis to explain the demise of dinosaur populations by the end of the Cretaceous Period (65 million years ago) is that slow-growing primitive seed plants could not keep up with the ravenous appetites of gigantic herbivorous dinosaurs, such as the sauropods. In fact, some of the enormous sauropods called apatosaurs (also called brontosaurs) weighed up to 30 tons. Brachiosaurus, one of the largest land animals of all time, weighed more than 50 tons, and consumed literally tons of vegetation in a few days. Another enormous dinosaur Seismosaurus was even larger. In fact, some authorities estimate that these giants may have weighed up to 90 tons. If Brachiosaurus was warm-blooded, it has been estimated that it would have required more than 440 pounds (200 kg) of conifer and cycad plant food each day, and it would have spent most of its time feeding. According to R.M. 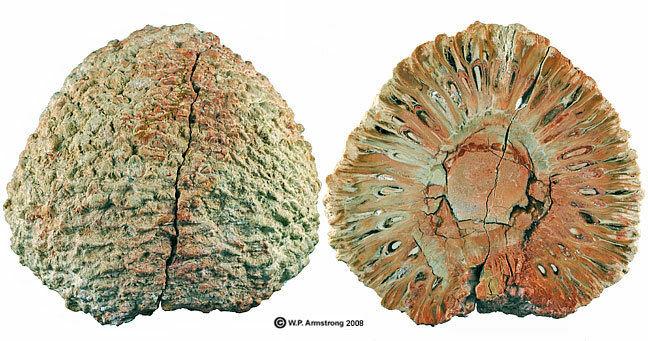 Alexander (Dynamics of Dinosaurs and Other Extinct Giants, 1989), fossil stomach contents of giant sauropods have been discovered with fragments of woody twigs up to one centimeter in diameter. Large, worn pebbles have also been found near the remains of these huge dinosaurs, suggesting that they swallowed stones and kept them in their stomachs to grind up vegetation (like plant-eating birds). To appreciate the massive size of brachiosaurs, compare their weights with modern-day hippos and rhinos at 2-3 tons, and elephants at 6 tons. When flowering plants began to dominate the landscape, they edged out the conifers, tree ferns and cycads that the long-established sauropods depended on. The competitive advantage of flowering plants is probably a lot more complicated, and undoubtedly is related to changing climatic conditions (and perhaps an enormous asteroid that collided with the earth causing a global dust cloud that blotted out the sun for months). At any rate, flowering plants possessed many adaptive traits that made them particularly resistant to drought and extreme cold. Some of these sophisticated advancements included more efficient water-conducting cells, advanced leaf and stem anatomy that could withstand environmental extremes, cold and drought-deciduous foliage (which is rather uncommon in today's gymnosperms), perennials with dormant underground rootstocks capable of surviving severe winters, extremely tough, resistant seed coats that protect the dormant embryo inside for prolonged unfavorable periods, an enormous chemical defense arsenal against disease organisms and herbivores, and an efficient pollination and dispersal system involving complex interactions with animals. Flowering plants have literally colonized every conceivable habitat on earth, including the extensive fast-growing, fire-adapted grasslands of today that support huge herds of grazing mammals, and yet many of these vast vegetation types were not around when dinosaurs reached their peak. During the heyday of dinosaurs, the forests and swamps were not scented with the sweet aroma of wildflower blossoms. Instead, the air was probably filled with the copious pollen from seed ferns and cycads, and perhaps the odor of resins from other cone-bearing species that dominated the landscape. Exactly which of these ancestral seed plants gave rise to the flowering plants has been a hotly debated topic for centuries. In fact, in a letter to a friend, Charles Darwin referred to the sudden appearance of flowering plants in the fossil record as "an abominable mystery." Comparative DNA studies may eventually provide the answers to this question. Although no zoos or wild animal parks have any cloned dinosaurs on their premises (at least not yet), it is possible to landscape these botanical gardens with vegetation that is truly a glimpse into the distant geologic past when amazing dinosaurs ruled the earth. Alexander, R.M. 1989 Dynamics of Dinosaurs and Other Extinct Giants. Columbia University Press, New York. 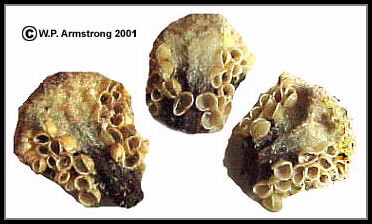 Armstrong, W.P. 1993. "Landscaping Jurassic Park." Zoonooz 66: 20-23. Armstrong, W.P. 1993. "Neotropical Amber." Ornament 17: 58-61 & 108. Armstrong, W.P. 1994. "Plants of Jurassic Park." Pacific Horticulture 55: 42-48. Armstrong, W.P. 1994. "Remarkable Swamp Trees." Zoonooz 67: 24-27. Armstrong, W.P. 1994. "Time Traveling With A Locust Tree." Zoonooz 67: 28-31. Brill, S. (and E. Dean). 1994. Identifying and Harvesting Edible and Medicinal Plants in Wild (and Not So Wild) Places. Hearst Books, New York. Chaney, R.W. 1956. The Ancient Forests of Oregon. Condon Lectures: Oregon State System of Higher Education, Eugene, Oregon. Crichton, M. 1990. Jurassic Park. Balantine Books, New York. Dernbach, U. 1996. Petrified Forests. D'Oro-Verlag, Germany. Gifford, E.M. and A.S. Foster. 1989. Morphology and Evolution of Vascular Plants. W.H. Freeman and Company, New York. Heinerman, J. 1995. Encyclopedia of Nuts, Berries and Seeds. Parker Publishing Co., New York. Johnston, E.F. 1967. "How Cycads Reproduce." The Garden Journal 17: 155-159. Jones, D.L. 1994. Cycads of the World: Ancient Plants in Today's Landcape. Smithsonian Institution Press, Washington, D.C.
Kanowski, S., W.M. Herrmann, K. Stephan, W. Wierich, and R. Horr. 1997. "Proof of Efficacy of the Ginkgo biloba Special Extract EGb 761 in Outpatients Suffering From Mild to Moderate Primary Degenerative Dementia of the Alzheimer's Type or Multi-Infarct Dementia." Phytomedicine 4 (1): 3-13. LeBars, P.L., M.M. Katz, B. Berman, M. Turan, A.M. Freedman, and A.F. Schatzberg. 1997. "A Placebo-Controlled, Double-Blind, Randomized Trial of an Extract of Ginkgo biloba for Dementia." Journal of the American Medical Association (JAMA) 278: 1327-1332. Lambert, D. 1993. The Ultimate Dinosaur Book. Dorling Kindersley, London. Langenheim, J.H. 1969. "Amber: A Botanical Inquiry." Science 163: 1157-1169. Li, Hui-Lin. 1956. "A Horticultural and Botanical History of Ginkgo." Morris Arboretum Bulletin 1: 3-12. Lindblad, P., B. Bergman, A.V. Hofsten, L. Hallbom and J.E. Nylund. 1985. "The Cyanobacterium--Zamia Symbiosis: An Ultrastructural Study." New Phytologist 101: 707-716. McClintock, E. 1989. "Ginkgo, the Maidenhair Tree." Pacific Horticulture 50: 15-17. Orsen, M. 1998. Ginkgo Petrified Forest Ginkgo Gem Shop, Vantage, Washington. Rai, G.S., C. Shovlin and K.A. Wesnes. 1991. "A Double-Blind, Placebo Controlled Study of Ginkgo biloba Extract ("Tanakan") in Elderly Outpatients With Mild to Moderate Memory Impairment." Current Medical Research and Opinion 12: 350-355. Rushforth, K.D. 1987. "Conifers." Facts on Files Publications, New York. Stern, W.T. 1983. Botanical Latin. David & Charles, Newton Abbot. Stewart, W.N. 1983. Paleobotany and the Evolution of Plants. Cambridge University Press, Cambridge. Weiner, M.A. and J.A. Weiner. 1994. Herbs That Heal. Quantum Books, Mill Valley, California.